"Beauty begins in the belly" says Carla Oates, founder of Australian company The Beauty Chef. 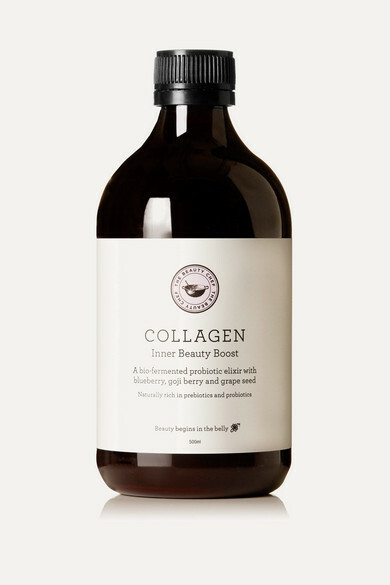 This 'Collagen Inner Beauty Boost' is a bio-fermented probiotic concentrate that's specifically formulated to target firmness and fine lines, as well as aid skin maintenance for a radiant, naturally plumped complexion. It combines certified organic Maqui Berry, Açaí, Papaya, Blueberry, Goji Berry and Pomegranate powders with Grape Seed extract, Zinc and Vitamin C to boost natural collagen formation and leave skin visibly smoother.